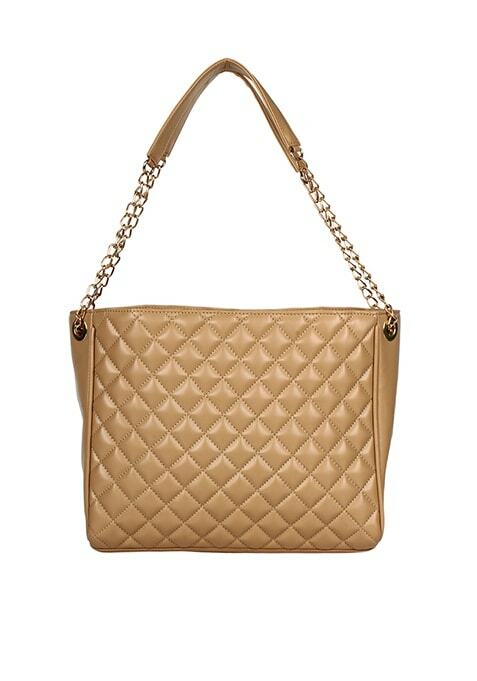 Super awesome shoulder bag featuring a quilted design & a top zip closure. Spacious inside with a small zip pocket. Work It - Looks great with casual separates on the weekend. Material: Faux leather Top zip closure Anchor chain grab handles Dimension: 13"X4"X9.5"